This is the final LifeHut logo that was created. 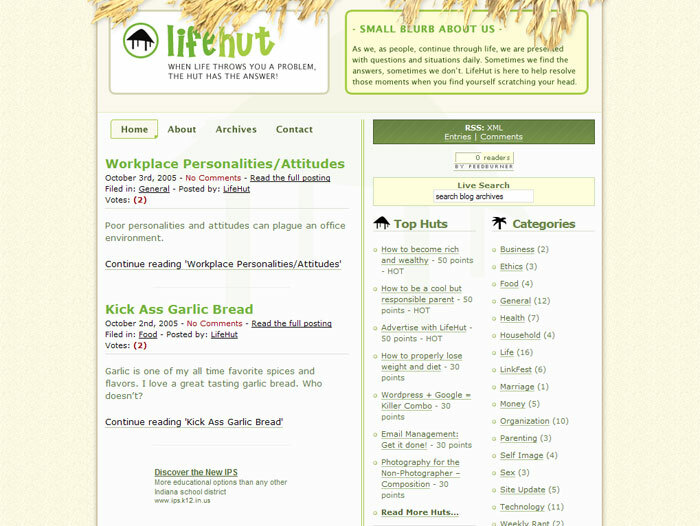 This is a screenshot of the LifeHut homepage. This is a screenshot of an individual article. 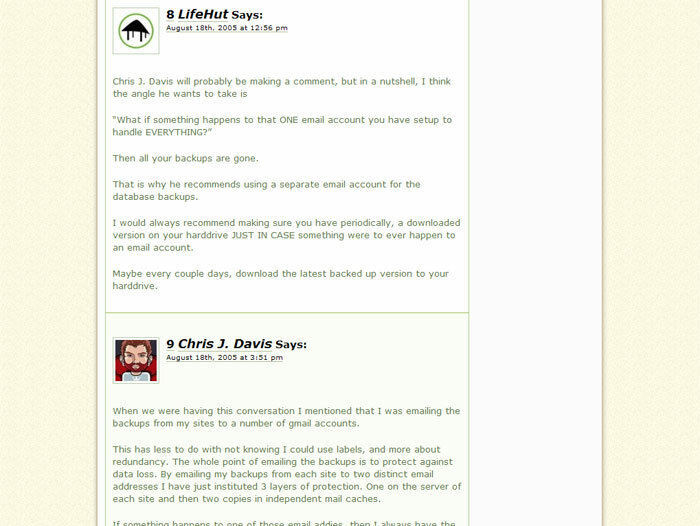 This is a screenshot of the comments section. 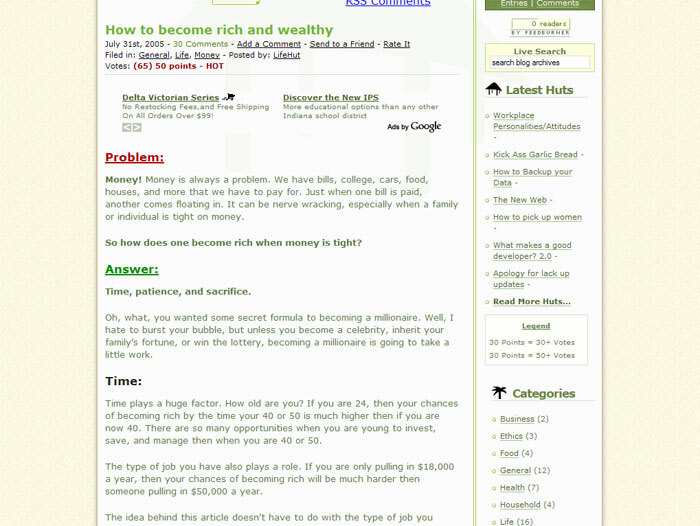 LifeHut was a "How To" based blog intending to provide visitors a wide range of topics/articles to learn "how to do certain things". It had an initial popular period gaining interest on various CSS websites such as Unmatched Style, CSS Mania, and even got mentioned on Lifehacker in its first week, which grossed over 30,000 visitors in a matter of days. Unfortunately, the blog was sold because of time constraints and life in general. The site is still live, but not in its original form. It is merely a landing page for ads now. You can visit Lifehut.org in its current form.